Yesterday I had lunch with one of my favorite librarians, Jan Nickols of the Clearwater Public Library System, and author Tara Randel. 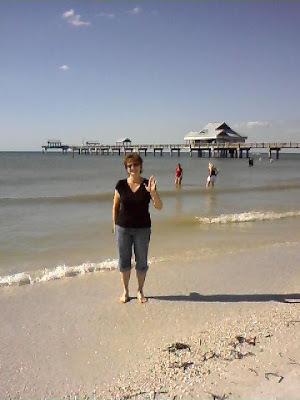 Since the library is only a hop and a skip to Clearwater Beach, Tara and I took a nice stroll! Okay, I didn’t write, but you have to admit, a beach like this fills the soul and makes the writing possible! Ah, I miss Pinellas County. 🙂 Looks wonderful!